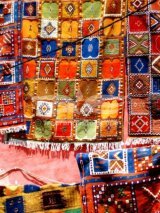 Moroccan decor is bold and bright - I love the jewel colours and flamboyant patterns. Morocco abounds with beauty; their architecture is rich in exquisite designs and artful mosaics. This decorative style is wonderfully ornate, allowing you to pile layer upon layer of motif and colour in your home, or you could tone it down somewhat by using Moroccan accessories in a more neutral colour scheme. If you are after a truly authentic Moroccan style, you’ll need to find somewhere that imports Moroccan goods - the look is so original it is difficult to imitate! 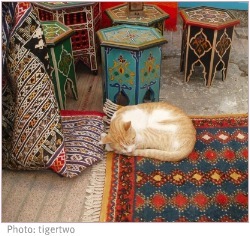 A more fun way to get original goods is to bring some back with you from your Moroccan holiday. You can really let your imagination free with Moroccan decorating, experiment with those fiery colours and you can create something really special in your home. 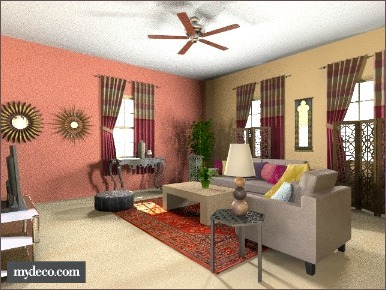 I'd like to show you how I would go about creating my own Moroccan themed room. 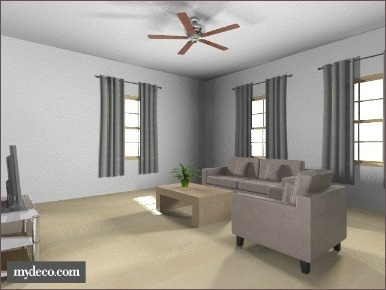 Firstly, here is a picture to represent a standard living room - functional perhaps, but not much in the way of decorating. To create this look, I changed only a few things. 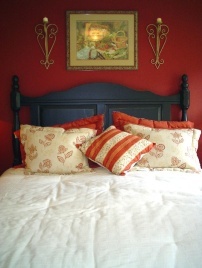 The number one thing was to paint the walls - I chose one feature wall and made that a spicy red, while the other walls were painted an ochre shade. I added some zesty matching curtains and placed carved wooden screens in front of some of the windows for privacy and atmosphere. Only two accessories in an iconic Moroccan style are necessary to pull the look together (the side table to the right of the large sofa, and the mirror on the wall behind the sofa). Bright colours were introduced through an area rug and a kaleidoscope of cushion shades. Extra furniture pieces such as the console table in front of the window, and the sunburst mirrors just reinforce the Moroccan decor theme.